React Presents is thrilled to announce today the initial six exciting headliners and confirmed location for Spring Awakening Music Festival (SAMF) 2019. 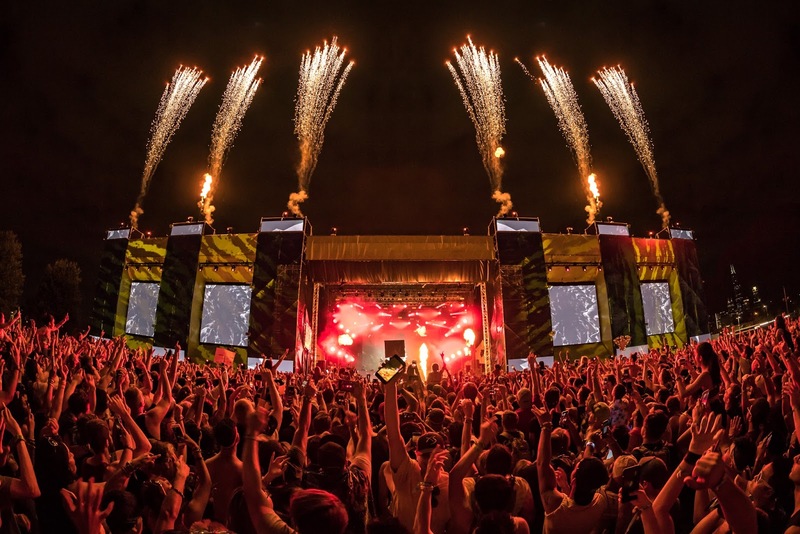 The Midwest's largest all-electronic music festival will return to the Chicagoland area for its eighth year on June 7th through 9th at Poplar Creek at 59-90 Entertainment District in Hoffman Estates, a Northwest Chicago suburb. 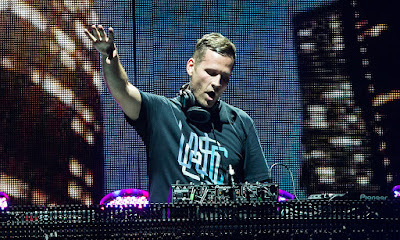 Headlining SAMF 2019 is an all-star lineup including Grammy-nominated hit-maker DJ Snake; Grammy-award winning producer/DJ/multi-instrumentalist/songwriter, ZEDD; DJ Mag's three-time No. 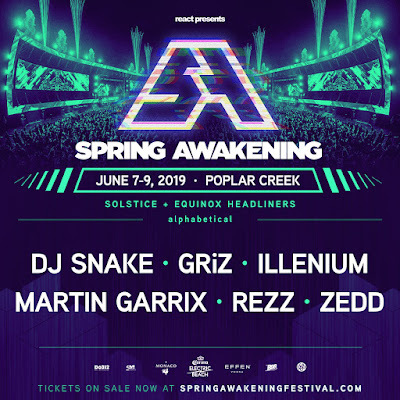 1 Top 100 list DJ, Martin Garrix; Juno Award-winning Canadian DJ/producer, REZZ; funk/electro-soul/future-funk DJ/producer/sax master GRiZ; and melodic bass producer extraordinaire DJ ILLENIUM. The full lineup will be revealed on Friday, March 15. Tickets Are On Sale Now at www.springawakeningfestival.com. 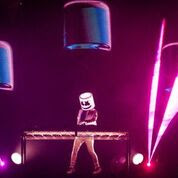 For 2019 in Poplar Creek, more than 90 artists will perform across five unique stages, demonstrating a dynamic variety of genres within the electronic music spectrum. Spring Awakening Music Festival will also feature stunning stage production, interactive art installations, carnival rides, and much more. More announcements will follow shortly. The new 2019 location boasts 27 acres of land, nearly double that of last year’s site, which allows for bigger and better stages, more production, and additional experiential environments. Complimentary shuttles from nearby Metra stations to the festival grounds will be provided to fest-goers. Additionally, the grounds are less than ten minutes from multiple hotel options, and for the first time in SAMF history, the location will allow for festival parking on site. 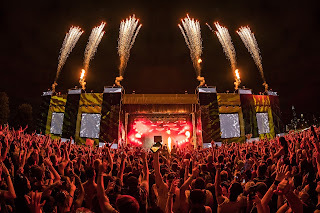 React Presents’ co-general managers Patrick Grumley and Matt Rucins said, "We are excited to announce that SAMF ’19 has relocated to Poplar Creek, a perfect festival location with a rich musical history – adjacent to the Sears Centre Arena, and by the former site of the Poplar Creek Music Theater. 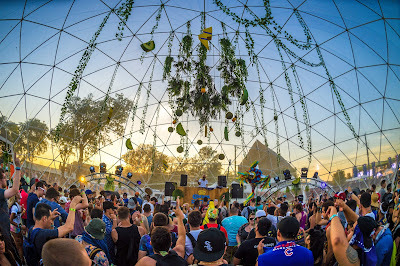 This decision was made with our fans in mind, in order to deliver them the best Spring Awakening at a site that will offer a superior experience." 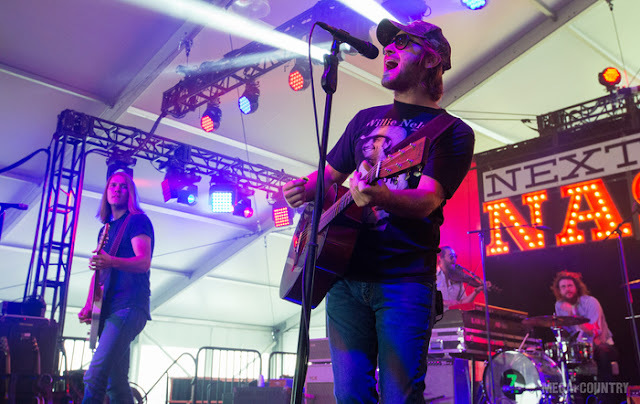 If the Lakeshore view isn't enough reason to head down to Northerly Island, Country LakeShake just revealed the hottest lineup for the three-day, two stage festival. The 3-day fest is one of our absolute favorites to attend every Summer and will be held from June 22nd-24th. 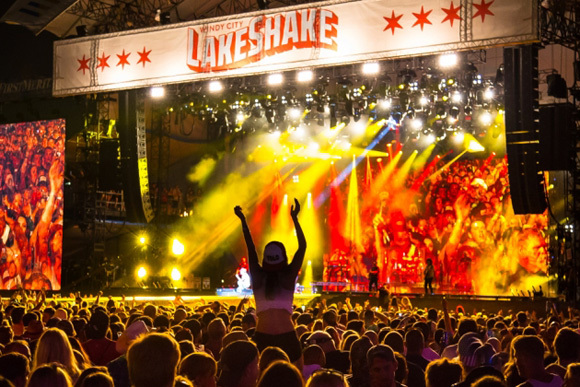 Launched in 2015, Country Lakeshake has quickly been dubbed the ultimate city-festival experience, with the perfect fusion of world-class country music acts and the infamous backdrop of our favorite city's skyline. Lakeshake's reputation in the artist community isknown as the feel-good event of the summer, with the relentless and exuberant fan base. Offering an all-encompassing experience (snag those Grandstand passes y'all before they're sold out!) fans can enjoy multiple opportunities onsite ranging from popular food trucks, games, interactive activities and more! Three-day and Single-day passes are available NOW at https://lakeshakefestival.com. 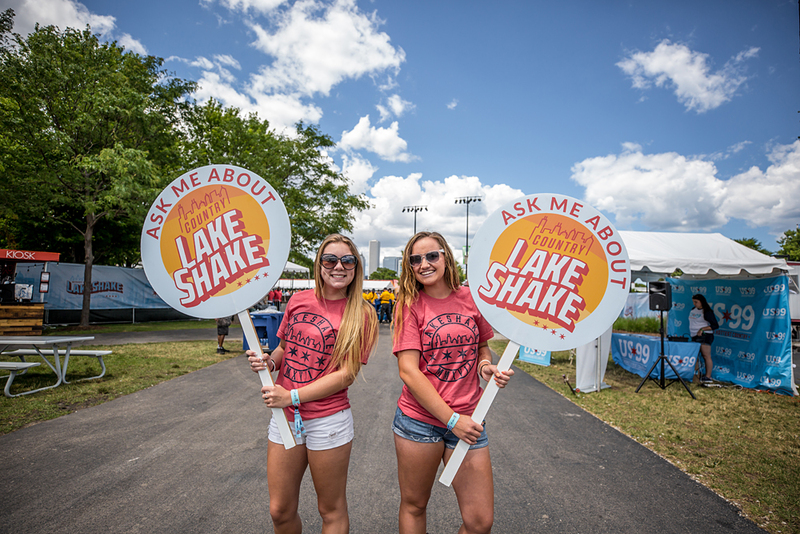 For further Country Lakeshake updates, please visit: facebook.com/LakeShakeFest, Twitter: @LakeShakeFest and Instagram: @LakeShakeFest and join the conversation on Twitter, using #LakeShakeFest. It's official people, it looks like we've FINALLY made it to Spring in Chicago! But we're not just looking forward to this year's Spring fashion, Spring flowers, and Spring weather - we're looking forward to the real show stopper...S U M M E R! 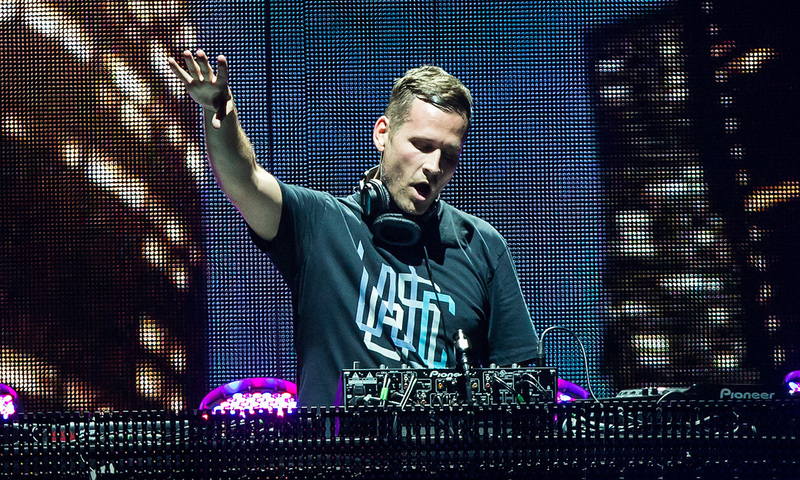 Spring Awakening Music Festival is BACK - and better than ever! The official lineup was just announced & single day tickets are now on sale for 2018! 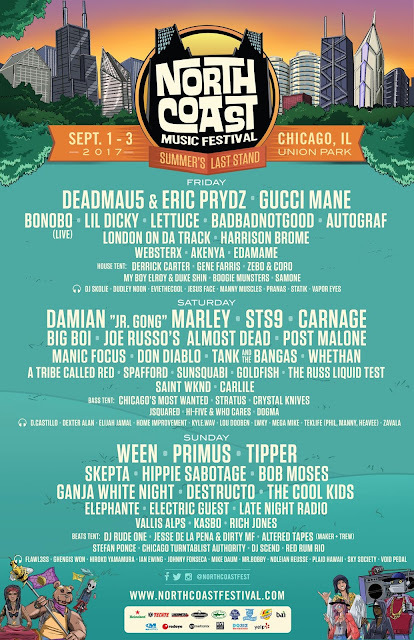 [Single day tickets start at $69 for GA and $129 for VIP, while three-day passes remain reasonably priced at $199 for GA and $289 for VIP]. at the beautiful Addams/Medill Park in Chicago. Check out the daily breakdown below to find out which day your favorite artists are playing (ahem...our favorite, Kaskade) and stay tuned for more information surrounding the silent disco, after parties, and more! 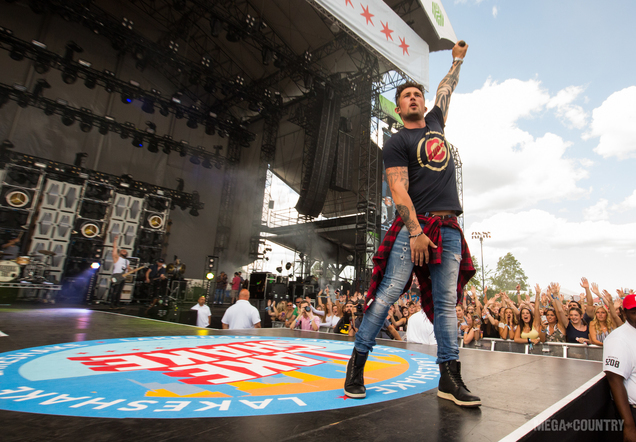 Oh, and we have even more great news...we're giving away a pair of 3-day GA tickets! All you have to do is follow our friends, React Presents, on Instagram (@reactpresents) and then enter our raffle by emailing info@adoptedSTYLE.com with the artist you're most itching to see! *Deadline to enter giveaway is April 15th, 2018 and you must be 18 or older to enter. North Coast Music Festival is thrilled to reveal a brand-new stage and more artist's added to this year's lineup! 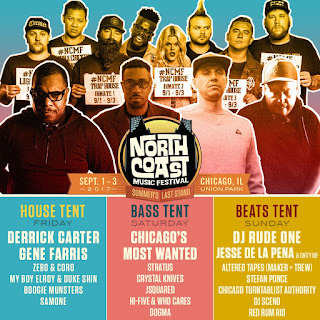 The stage will feature a variety of Chicago favorites throughout the weekend with each day dedicated to a specific genre. Coming off the success of last year’s pairing, the Living Gallery will be connected to the Silent Disco giving art enthusiasts the chance to listen to a special Living Gallery curated channel on their headphones while watching the painters create works of art in front of them, an experience unique to North Coast. As if the natural beauty of Union Park and Living Graffiti Gallery weren’t enough, we’re bringing in some of Chicago’s most innovative and original artists to display art and installations around the fest grounds. 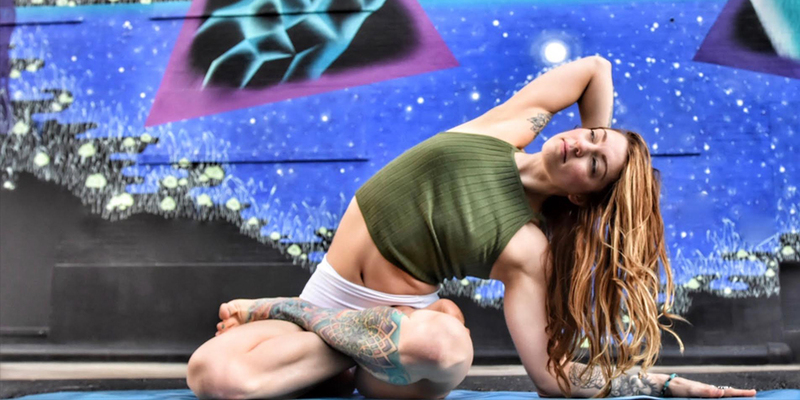 NEW to North Coast this year is the addition of complimentary VIBE Flo yoga sessions. At the beginning of each day, starting at 3:30pm on Friday and 2pm on Saturday and Sunday, find your way to the Living Gallery Silent Disco area to join the class. Dexter Alan will be providing the sounds and keep in mind that Space is limited - so first come, first serve! Has the FOMO started because you haven't snagged your tickets yet? Email us at info@adoptedSTYLE.com and share your Top 3 reasons why we should pick YOU to join us this year. [Winner will receive two 3-day GA wristbands and will be selected next Wednesday, August 16th at 12pm CST]. Interscope continues to put itself at the forefront of cultural trends with its distinctive style and taste, by reinventing the wheel of wine consumption. No need to worry about wine openers, corkscrews, and breakable glass, Electric Sky’s creatively packaged bottles comes in four convenient 187 ml single-serve portions, which snap together to form a 750-ml bottle. Each bottle is individually sealed and delivered in shatter-proof, recyclable plastic - making it perfect for sharing with friends while outdoors or at home when you simply want one glass of wine at a time. The four 187 ml single serves are designed to snap together vertically to form the equivalent of a 750-ml bottle, but they are already proportioned and individually packaged for you! This made the wine easy to transport, hold, and consume at this year's Mamby on the Beach festival. The last thing you want at a music festival is to be inconvenienced in any capacity and Electric Sky made sure to think of that through and through. It was also a nice change to have a wine option at this type of festival vs. only beer, and we hope it will make appearances at more upcoming shows around the city! Interested in trying the current flavors? Visit www.electricskywine.com for additional information on location spots, upcoming events, and more! Pinot Grigio: A crisp and fresh wine with lemon and peach aromas and a clean citrusy finish from the famed Saove growing region in the eastern part of Verona, Italy. Rose: Sourced from a vineyard located in the Languedoc Roussillon region in the south of France, next to Provence. California Red Blend: A juicy and smooth blend of Syrah, Merlot and Zinfandel with deep, rich red berry flavors and a soft, silky finish from Sonoma, California.